The easy-to-use DX-format D300 offers outstanding image quality, multi-functional technologies and fast response. 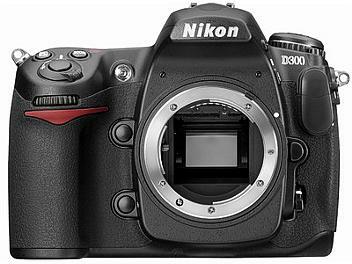 With class-leading 12.3 megapixel resolution, speedy 6 fps frame advance, self-cleaning sensor unit and high definition 3" VGA LCD display, combined with Nikon's legendary durability, the D300 is a breakthrough solution for photographers searching for an advanced compact SLR. Packed with the latest technologies and Nikon's renowned ergonomics, the D300 sets a new standard for professionals on a budget," said Robert Cristina, Brand Manager, Nikon Professional Products, Europe. "The D300 is a true 'go-anywhere' camera, delivering fast response, high performance and ease of use that will appeal to anyone serious about their photography.